If you are looking for the best tourist destination in India, then definitely its Kerala ‘the god’s own country’. Blessed with all the beauties of nature, Kerala has all the types of tourists attractions, one can think of. Beautiful backwaters, coconut palms, hill stations, beaches, cuisines, art-forms, monuments etc are some of the best tourist places in Kerala. Thus, if you truly want to feel the pleasure being in the paradise, you must make this place a sure to visit destination for your next trip. Now you must be thinking, what should be your choice of place in Kerala, if it’s a short trip? Let me suggest you the most tempting place in Kerala i.e. PALAKKAD!! Let me have the pleasure to tour you around this beautiful place. The sun rises to add to the charm of this place, birds sing the glory of this place and the soil of this place harbors pleasant green fields, mighty tress and the plethora of rare birds and animals. Palakkad dwells in the break of the Nilgiri Mountains and serves as a link between Kerala and Tamil Nadu. It is believed that Palakkad aka Palghat got its name from the Pala (a tree) and Kadu (forest) words of Malayalam language as the place is abundantly covered with Pala tress and forest. This gateway to the northern Kerala attracts thousands of tourists every year because of its ever enchanting beauty. How to Reach Pallakad, Kerala? Via Peelamedu Airport in Coimbatore, which is inturn connected to several national and international airports as Bhubaneswar, Chennai, Delhi, Hyderabad, Mumbai, Bangalore, Cochin, Pune, Sharjah, Bangkok, Singapore and Ahmedabad. Via Palakkad Junction (PGT) and Palakkad Town (PGTN) station, which inturn are connected with major cities of the country. Kerala State Road Transport Corporation (KSRTC) runs in this sector and always is a reliable option. You may also opt for private travel services according to your convenience. The intracity conveyance is also easy and comfort. KSRTC buses connect to the majority of the places. The local cabs and taxis are always an open option. You may even seek various regional tour operators’ services for your convenience and to save the time. Let us go through the a list of top destinations which you can visit on your next trip to Palakkad, Kerala. The list comprises of details like distance from palakkad railway station, entry fees (if any). visiting timing (if time restricted) and the amount of time you should spend for each place. 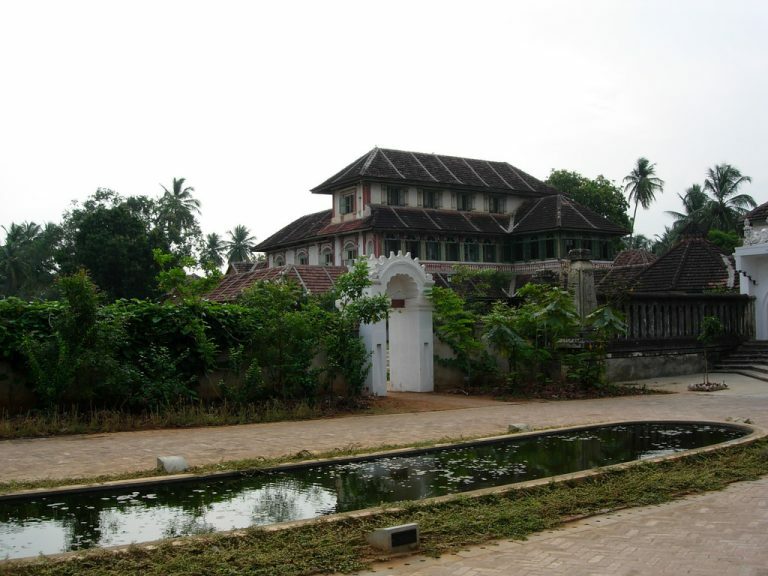 Palakkad fort aka Tipu’s Fort, has a historical as well as architectural importance. It is believed to be built by Haider Ali in 1766 AD., which was then repaired by Britishers in the year 1790. Presently the fort is under the Archeological Survey of India and maintained and protected by them. The fort stand amidst the large ground known as Kota Maidanam, protected by the mighty walls on all the sides. To your surprise, the fort has a beautifully carved Hanuman (Anjaneya) Temple, open air auditorium, called Rappadi, a children’s park (Nehru Park), a sub-jail and a martyr’s column inside. 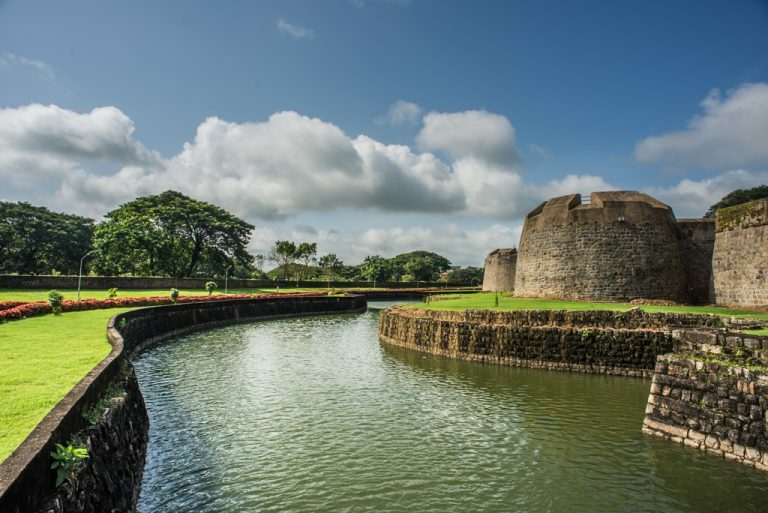 This fort is one of the best tourist spots in palakkad and you should never miss it. Ticket/Entry Fee of Palakkad Fort – INR 15 per person, with additional charges for camera and mobile phones. The mighty, 355 feet tall, holding the prestige of being the laegest reservoir of Kerala stands on the Malampuzha River, which is a tributary of Kerala’s second longest river i.e. Bharathapuzha. It is one of the most visited tourist places near palakkad. Well near the dam is its magnificient garden, which is a home to the vivid varieties of plants and flowers. Besides admiring the scenic beauty of the place, there are lot more things to see and do in this place. Make sure you see the fresh water aquarium, Snake Park and enjoy toy train in the Children’s park. To add to the excitement, there is ropeway, which takes the passengers on a ride to tour this beautiful place for 20minutes. Moreover you can spend a day fishing and boating around the reservoir. Once you are here, you should also see- The Japanese Park, Nandi Park, Malampuzha Yakshi (sculptured by Kanayi Kunhiraman in 2 years), Krishna Park, musical fountains, telescopic tower and the first rock garden, which are other important Palakkad tourist places. Timings for ropeway at Malampuzha Dam & Gardens works between – 10 AM – 1 PM & 2:30-8 PM. Amongst the wildlife places to see in palakkad, silent valley national park holds the prime importance. Spreading over 90sq. km area, the park is a habitat to numerous species of birds and animals. It has been named under the UNESCO World Heritage Sites and gives many reasons to prove so. It in habitats Lion-tailed Macaque, several species of mammals(34), birds(292), reptiles(31), amphibians(22), fishes(13)., orchids(107), ferns(100), liverworts(200), lichens(75) and algae(200). These large collections of plant and animal species are sure to attract our Botany and Zoology professors as well. The parks has 4 gates or say 4 parts, that are- Nilikkal, Sairandhri, Poochipara & Walakkad, but to our disappointment, being the tourists, we have the access only to Sairandhri. You need to take the permission from the local tourism department if you wish to have a Jungle Safari. This place is ideal for the ones who love Bird watching, photography and trekking. A very clean and fresh water body here, Kunti river, is open for trekking for the visitors. Ticket/Entry Fee at Silent Valley National Park – INR 50, with additional still camera and mobile charges. Time you should spend at Silent Valley National Park – 3 – 4 hrs in the park. The beauty and the charm of this place can’t be explained in words, but it would be a sin not to mention this place, if I am talking about the places to visit near palakkad. I don’t know how nature can be so generous to wrap up so many things, so gracefully in one place. I should not innumerate the number of species of various plants, insects, birds and animals it holds in it, as I know the counting will be always short of the actual one it already contains. 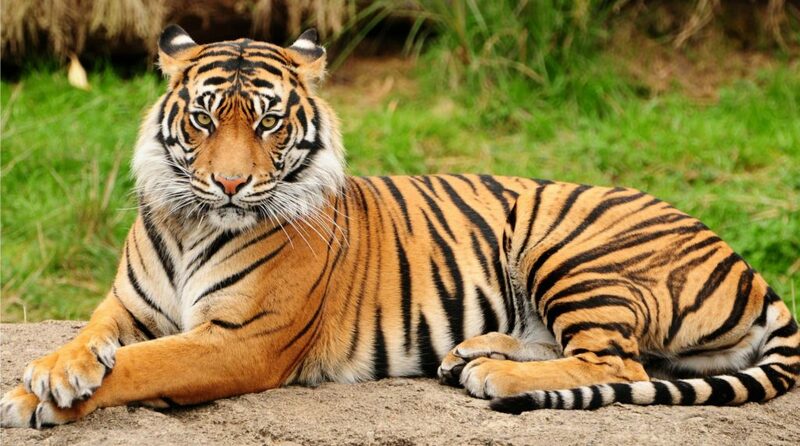 Parambikulam Wild Life Sanctuary is a Tiger reserve also. It spreads over the lavishing area of over 285 Sq. Kms. One thing you should never miss here is the Kannimara teak tree, which is believed to be more than 350 years old. It also holds the title of being the biggest living tree in the world and has received the prestigious Mahavrukha puraskra award by the Government of India, in the year 1994-1995. The height of the tree is calculated to be 47.5 meters. The wildlife sanitary provides you an opportunity to spend some time amidst the children of mother nature and cherish the moments forever. One may do trekking here, have a tree house experience and also experience the watch towers. Parambikulam Wild Life Sanctuary distance from Palakkad railway station – 80 kms. Ticket/Entry Fee at Parambikulam Wild Life Sanctuary – INR 150 per head for jungle safari, INR 50 for light vehicle, INR 150 for heavy vehicle and extra charges for still and video cameras. 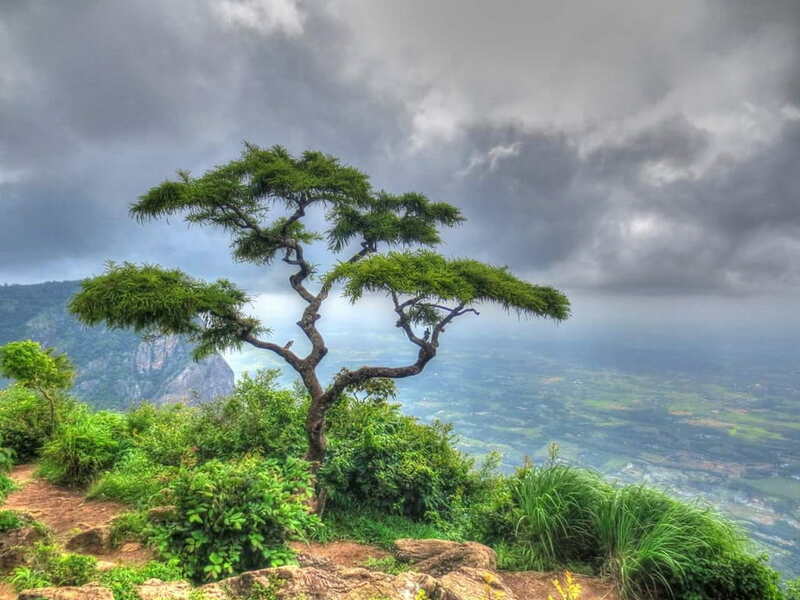 Holding mythological, religious and the getaway importance, the Nelliyampathy Hills are one of the most loved tourist places near palakkad amongst the visitors. If you are searching for the places to visit in palakkad, then you must prioritize this place. It’s a treat for trekking lovers, for they can cover Mampara, Kaikatty etc. It is believed that lord Rama along with the wife Devi Sita, spent some time here during their 14 years of exile. Thus, this place is a choice of devotees for the pilgrimage too. One can have a holy bath in the river, said to be used by the lord then. The Nelliyampathy Hills are packed with mesmerizing waterfalls, dense green forest ranges covering the hills and trekking trials, thus offering varieties of activities that can be done here. It is also one of the best places to visit during monsoon in kerala. 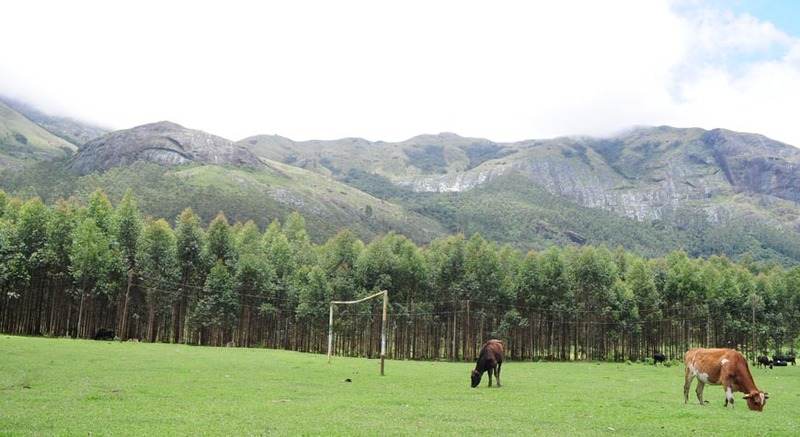 The beauty of this place can be anticipated by knowing its another name- second Ooty. You can also visit tea, coffee, orange and cardamom plantation here, which are in abundant. You should also see Parambikulam Wildlife Sanctuary, Shimmering Pothundi Reservoir, Padagiri, Palagapandi Estate, Pothundi Reservoir, Sholayar Pass, Malampuzha Gardens, Raja’s Cliff and the Seetharkund and Kesavampara Viewpoint once you are here. The beautifully granite crafted Digambara Jain temple, which is said to be about 500 years old, sings the history and spreads the preaching of Jainism in this religious area. The 32 feet long and 20 feet wide granite temple is said to be dedicated to the Jain sage Chandranathswamy. The temple has idols of Chandranthan, Vijayalakshmi, Jwalamohini, Rishabha Nathan, parswa Nathan and Padmavathi, and images of many Jain Thirthankaras and Yakshinis. Jain Temple of Jainimedu timings to visit is between – 7 AM – 10.30 AM and 5 PM – 7 PM. Dhoni Forest and waterfalls are other trekking and nature enjoying tourist spots in palakkad. They are the boon for the nature lovers and trekkers. Dhoni shrugs inside it, tremendous beauty of nature and scenic places. The location has great picturesque importance. Dhoni forest tributes from the Western Ghats and gives a heart throbbing view of the lush green hills and the waterfalls contained within. The Dhoni Waterfalls is amongst one of the most famous waterfalls in Kerala. The place is also famous for its swiss bred of cattle and goats. Once you are here, you can also visit the Malampuzha Reservoir, Azhakampara waterfall. This marvelous fort is believed to be buit by Kollengode Raja, Raja Vasudeva, as a gift to his daughter, back in 1904. the architecture of the fort resemble the European architecture, which can be well appreciated. The fort is no longer a palace to the kings, but has been converted into a Ayurvedic treatment centre for the common public. You can feel the freshness and rejuvenate yourself here, in the natural royal surroundings. There is even a museum inside the fort premises. You must seek prior permission if you want to see the palace and museum in detail. People consider it as a must visit tourist spots in Palakkad, due to the uniqueness of the fort. The fort is also amongst the top historical places in kerala. You can also visit Nelliampathy Hills (that surrounds the fort from a side), The Gayathri River (a tributary of Bharathpuzha river), local village, Vishnu temple, Seethakundu and Government hills near Kaachankurchi and poet Kunhiraman memorial, once you are here. Built in a classical Kerala and Tamil Nadu architectural style, this dam is a successful project of the Kerala government to meet the drinking water demand of the adjacent townships. The dam stands in the Siruvani River and is said to be built in 1927. Apart from its functional importance, the dam is a place of tourist attraction too, as it gives picturesque view of the dense velvety forest and the mighty hills around. Thus, keeps attracting the tourist all year long. These were some of the best places to innumerate, but if you plan a longer trip, you can go around to see many place places in Palakkad as well as in Kerala and nearby. I hope this article will be helpful to you in planning your next trip. Don’t forget to share your memories, experiences and photos with us, once you are back.